Alex Cuthbert has struggled to regain his early international form, and since replaced Rhys Priestland as Wales’ least favourite son. Despite having sped Wales to a Six Nations title four years ago, his legacy will surely be as the man disparaged by the Welsh media and fans, not the man who destroyed England on that glorious, wonderful winter’s day in Cardiff. Cuthbert’s international career began promisingly, scoring the winning try in Wales’ Grand Slam game against France at the Millennium. After Shane Williams’ retirement in 2011, Wales had attacked down one flank and their play was impacted as a result. But as Alex Cuthbert burst onto the scene following a brief Sevens career, the men in red were scoring tries for fun. Cuthbert’s career continued well into the 2013 Six Nations, and after the hammering of England at the Millennium to clinch a second consecutive title, in which Alex Cuthbert was the key man, it appeared that all was well with the winger – who was the top try scorer in the 2013 tournament. But in between the 2012 and 2013 Championships, Rhys Priestland had been berated to the extent where he was booed at the Millennium. He didn’t look like a man who wanted to play international rugby. Can you blame him? When the 2014 Six Nations began, the Welsh public were beginning to turn on the Welsh winger. They were tired of losing to the southern hemisphere nations, and looked for a scapegoat. Similarly to Rhys Priestland just a year earlier, an innocent man was that scapegoat. Alex Cuthbert. Since then, he has become the man who Wales simply love to hate, and his apparent defensive ineptitude becomes a prevalent issue alongside such a solid tackling team. After the heartbreak of the 2015 World Cup quarter final exit, Alex Cuthbert was the man blamed by many for the late Fourie du Preez try. The effects of the loss on him were instant. As his teammates thanked the fans for their continued ‘support’, the Welsh winger made his way down the tunnel, dejected. He knew who would be held accountable for the late try. Four years on from the victory over England at the Millennium, Cuthbert once again played against the Red Rose. 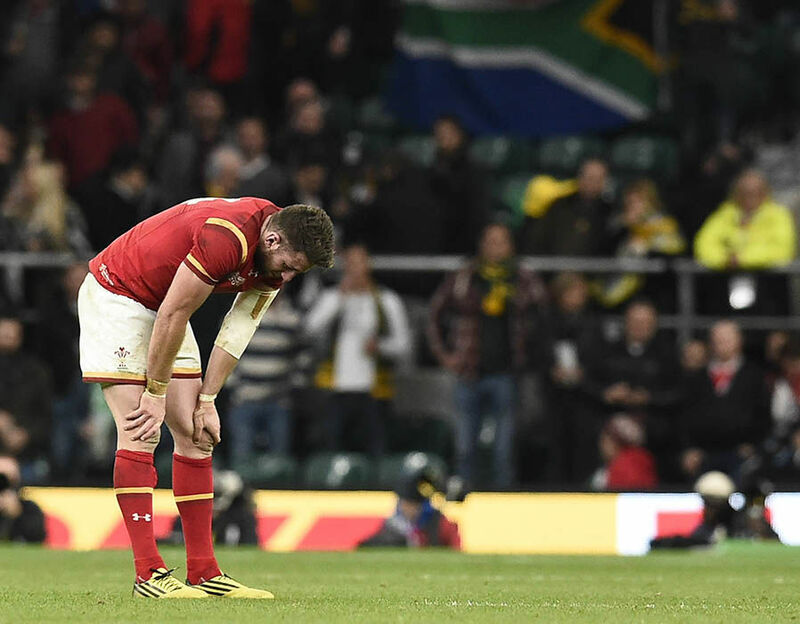 This time, the build up to the match was fuelled by speculation about George North. North picked up a hematoma in the victory over Italy the previous week, and faced a race to be fit. He lost that race. Cuthbert would play. Making seven carries for three metres over the course of that game, Cuthbert found himself blamed for Daly’s winning try. After a poor Jonathan Davies kick, England had counter-attacked, before Daly sprinted past the Welsh winger into the corner. You just have to type Cuthbert’s name into Twitter to see what the Welsh public thought of that. The vilification of Cuthbert follows a similar story to Rhys Priestland, and who could possibly be surprised if he does choose to quit international rugby, much like Priestland did a year ago?